Absolut is introducing a redesigned bottle. Since its launch in 1979, the Absolut Vodka bottle has stood out for its shape. The new bottle is a transformation of the original, featuring an updated two-line logo, a new script, a redesigned medallion, reduced glass weight and a new brand signifier. To update what was already seen as a perfect bottle, Absolut brought together a group of creatives including a master illustrator and master calligrapher. “The Absolut bottle has been iconic for several generations; now it’s time to make the next bold statement for Absolut. Our goal has been to transform an already perfect bottle to make it even better. We were extremely privileged to work with the very best creatives within their discipline. The new bottle maintains everything that is Absolut Vodka – bold, original and creative, making it ready to face to future.” says Peder Clason, global brand strategy director, Absolut. “Absolut is a bold, creative brand and for some time we have wanted to reignite both those aspects in our already iconic bottle design, renewing the creative expression of our most visible product. Through the recent redesign of our flavour range, we gained the confidence to implement a level of detail in our collaborators’ work in a way that previously would not have been possible. The end result is true to Swedish design tradition where every part has a purpose and is executed in a simple but elegant way,” says Caroline Mörnås, global design strategy manager, Absolut. A trendsetter among the design community, the Absolut Vodka bottle is already respected all over the world. The bottle refresh was done in collaboration with Brand Union. 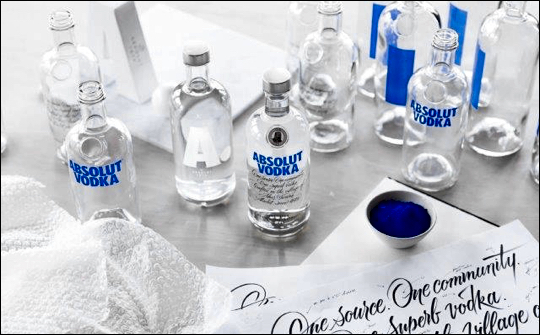 One of the most significant updates was the addition of a brand signifier to the back of the bottle, creating a bold, new short hand for the Absolut brand. The iconic shape of the bottle has been strengthened to feature more clearly defined shoulders, straightened neck and body, and a flattened bottom, while also using a reduced glass weight to minimize environmental impact. The Absolut Company, part of Pernod Ricard, has the worldwide responsibility for the production, innovation and strategic marketing of Absolut Vodka, Malibu, Kahlúa, Wyborowa, Luksusowa and Frïs. 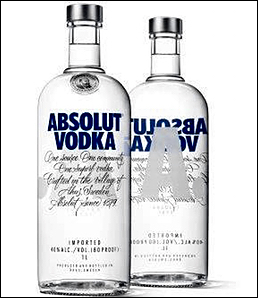 Absolut Vodka is the world’s fifth largest premium spirits brand. Every bottle of Absolut Vodka is produced in Åhus, southern Sweden.